Well all want harder, better, faster, and stronger results from our workouts (yes, I just quoted Kanye). Just like you, I am always looking for ways to improve my workouts to eliminate more fat and increase lean muscle. I am talking about intensity. This means the group working at the highest intensity, burned the most fat and allowed their body to use fat as its primary source of energy! So the harder you push yourself in your workouts, the better fat burning results you will see. Now this does not mean that your workouts need to last for 45-60 minutes. Not even close. Multiple studies and workout programs have shown us that when done properly, 15-20 minutes is really all you need! When you keep your workouts short and intense, your body starts reaping the benefits, fast! I mean think about why you are seeing so many high intensity workout programs on the market today… Do you think that is by mistake? A simple workout like this, is all you need to burn crazy amounts of fat in a short period of time! She breaks all the rules with this program and provides you with some of the most intense workouts on the internet! 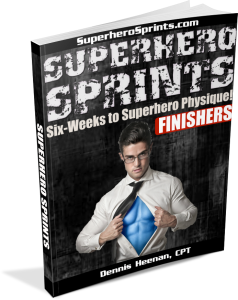 If you do decide to pick up Shawna’s Challenge Fat Loss program (which I recommend), until Sunday July 28th I will be throwing in a copy of Superhero Finishers, FREE, which include 15 of the most insane fat burning finisher workouts you will ever do! 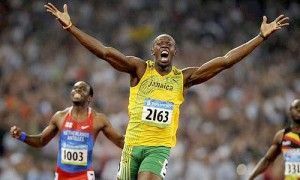 It is not the duration of your workouts, but the intensity of them! Bump the intensity, see harder, better, faster, and stronger results… Simple as that! P.S. If you enjoyed this post, be sure to hit the ‘Like’ and ‘Tweet’ button before you go! Thanks! P.P.S. Remember, until Sunday when you pick up Shawna’s Challenge Fat Loss Program, I am throwing in 15 Superhero Finishers FREE! Just send me your receipt number and I will email you the workouts!